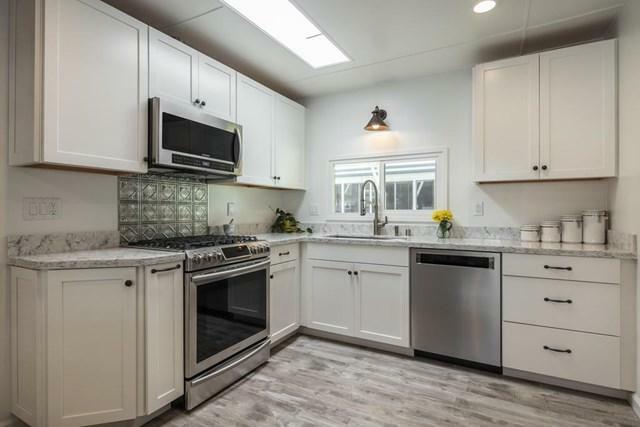 Gorgeous remodeled home in a rare park where residents own the land! Over $120k in recent, quality upgrades. 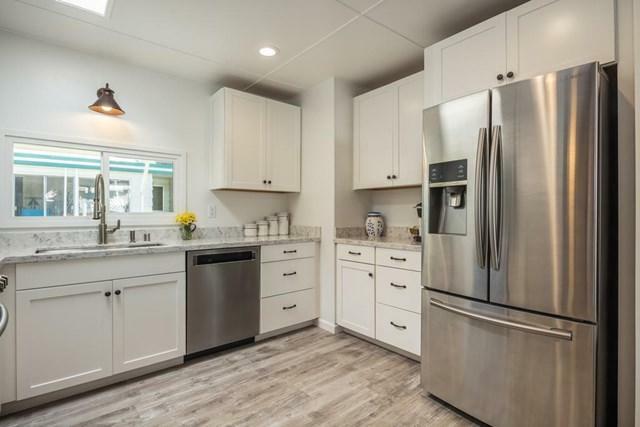 New: kitchen, baths, roof, floors, wall & ceiling finishes, insulation, dual-pane windows, skylights, central a/c & furnace, water heater, washer & dryer. 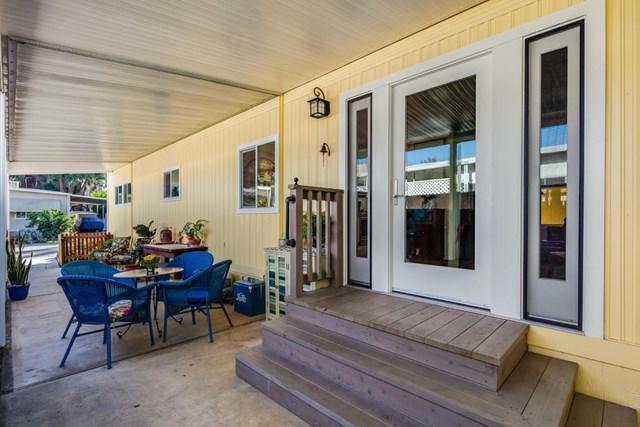 Outside offers attractive new landscaping, a generous 8x15 workshop/storage shed, and a peaceful greenbelt location. Perfect for indoor-outdoor living. The warm and inviting modern style with rustic designer touches is simply stunning. 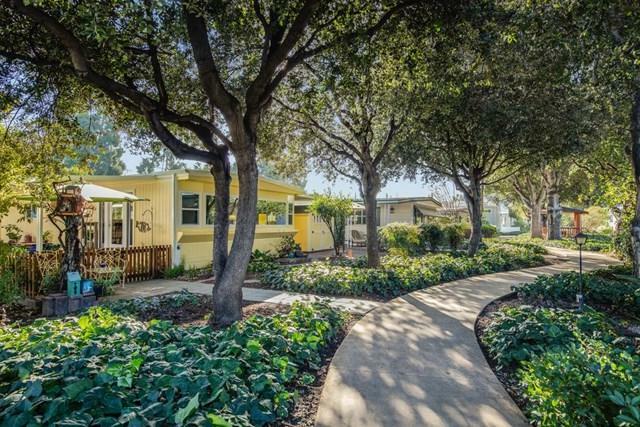 The beautiful park, with tree-lined paseos, is owned cooperatively by the residents. There is a pool, spa, putting green, bocce ball court, and a clubhouse w/full kitchen & library, and plenty of fun social activities. So much to do nearby, too. Just a half-mile from the Pruneyard and one mile from Downtown Campbell for shopping, dining, farmers' market & community events. Buyer must be approved by Park. 750 credit score required. $9500 buy-in fee. One resident must be age 55+, others 21+.